Although Ka-Band is not yet as widely available as Ku-Band some operators do offer very interesting regional services. THOR 7: delivering high quality Ka-band services for the Mobility VSAT Market successfully launched on Sunday April 26, 2015 at 20:00 UTC, from the Guiana Space Centre, THOR 7 is Telenor Satellite’s first growth satellite, delivering satellite services for the future expansion requirements of all the markets in which we operate. THOR 7’s HTS Ka-band payload is highly suited to the mobility VSAT market. Offering 6-9 Gbps throughput with up to 25 simultaneously active spot beams, THOR 7 provides services with download speeds in the tens of Mbps, even from small antennas, and delivers uplink speeds anywhere up to 6Mbps (depending on antenna size). The demand for reliable connections is growing exponentially, due to the increased use of IP applications. Broadband Internet access, VoIP, video streaming, email and improved access to corporate networks are all vitally important to ensure that those at sea can stay in touch with business operations, as well as improving the quality of life for crew working on board offshore vessels. 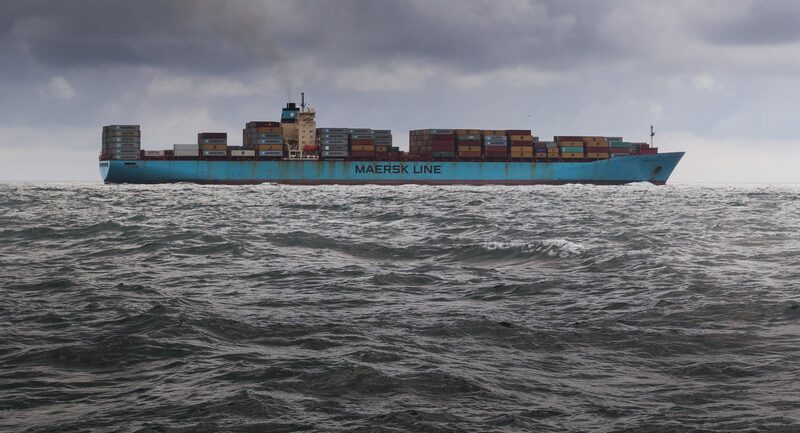 From its 1° West orbital location, Telenor Satellite delivers solutions to the main providers of connectivity for the maritime and offshore markets. 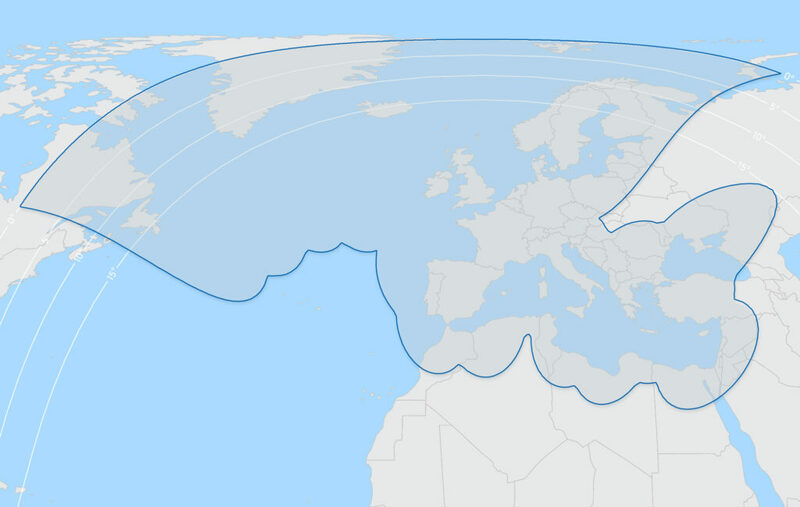 Our existing Ku-Band beams deliver strong signals and provide optimal coverage in busy shipping lanes throughout Europe. The HTS Ka-band payload on THOR 7, delivers the highest performing satellite payload designed for the maritime market. THOR 7 targets the North Sea, North Atlantic/ Norwegian Sea, Baltic Sea, Black Sea, Caspian Sea, Red Sea, Persian Gulf and Mediterranean. Its HTS payload uses more concentrated spot beams which deliver higher performance than a conventional beam. Therefore, Telenor Satellite is able to deliver cost-effective solutions, supporting higher speeds for users with smaller antennas. We understand that reliability is crucial to support mission critical applications. To ensure teleport availability well above 99.95 percent, Telenor Satellite has invested in a package of solutions to mitigate rain fade including a secondary uplink site to provide antenna diversity. Supported by the iDirect next generation VelocityTM platform, Telenor Satellite is able to offer VNO service solutions on its fixed beams, similar to those that we provide on our Ku-band iDirect platform. The iDirect platform offers automatic and seamless spot beam handover; a necessity for a market that relies upon continuous connectivity. The iDirect platform also allows service plans to be designed for large VSATservice providers as well as smaller resellers and includes sophisticated bandwidth management of all the THOR 7 spot beams, allowing bandwidth spread across multiple beams to be treated as a single large capacity pool. Cobham Satcom and Intellian are Telenor Satellite’s main antenna partners for the THOR 7 satellite. Both partners provide 60cm and 100cm antennas to suit customer specific requirements, delivering maximum throughput and reliability, even in the most extreme sea conditions.